An egg will shrink if it is placed in a solution that has a higher solute concentration than inside the egg. In a solution, the substance that does the dissolving is called a solvent. The substance that is dissolved is the solute. Corn syrup and honey are solutions with a higher solute concentration. The shrinking egg illustrates how osmosis works in a cell. First, the shell of the egg must be removed so that the cell membrane is the outside layer containing the egg. This can be done with vinegar, as the acid reacts with the calcium in the shell to dissolve the shell. Place the egg in a water solution. A solution is a homogeneous mixture of two or more substances. Osmosis is the movement of water across a semipermeable membrane from an area of lower solute concentration to an area of higher solute concentration, to equalize the concentration. The water in the egg tends to go outside the egg if there is an area of higher solute concentration outside the egg. The water leaving the egg causes it to shrink. If the solution has a lower solute concentration, the egg will swell. 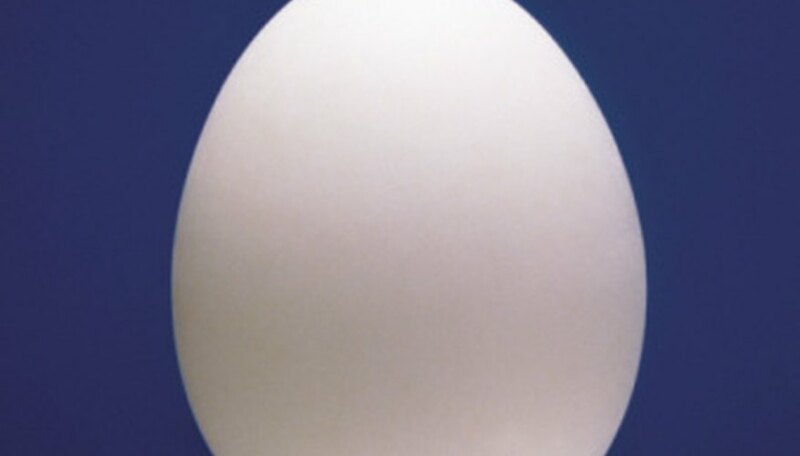 The egg will remain unchanged if the solute concentration inside is equal to the concentration outside. At the same time, the larger solute molecules in the solution cannot enter the egg. Some solutes can cross through the membrane and some can't. This is called a semipermeable membrane. The semipermeable membrane is the reason water particles can pass through, while the sugar in the corn syrup cannot get through. Mary Tarsi has been writing in the mountains of Colorado since 2002. She has been published in "Memphis Magazine" and "The Memphis Flyer." Earning a Bachelor of Arts in English from Christian Brothers University, Mary has gone on to pursue a Master of Arts in English literature from Middle Tennessee State University. Tarsi, Mary. "Why Does an Egg Shrink in Different Solutions?" 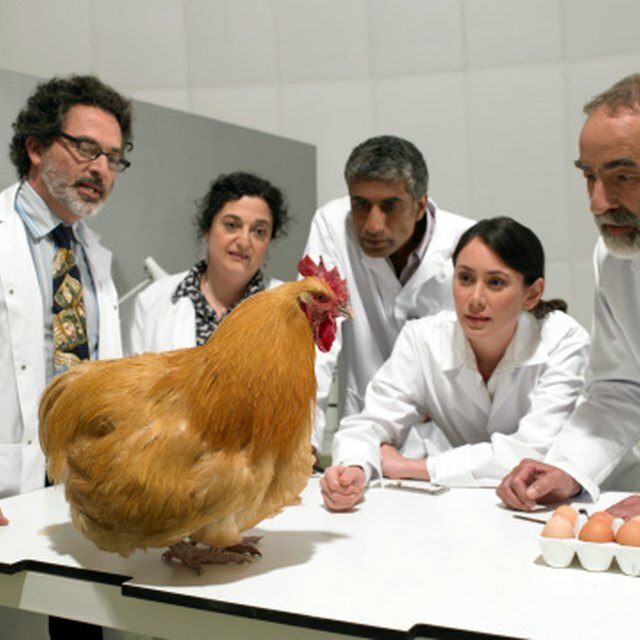 Sciencing, https://sciencing.com/egg-shrink-different-solutions-8644545.html. 24 April 2017.